Are you gaga for Gaga? Netflix has unveiled an official trailer for a documentary called Gaga: Five Foot Two, an inside look at the life of Lady Gaga filmed over eight months. Directed by the filmmaker of Banksy Does New York and Me at the Zoo, the film goes behind the scenes with "pop provocateur" Lady Gaga as she releases a bold new album and prepares for her Super Bowl halftime show. It's premiering at Toronto Film Festival starting this week, which is why this trailer is hitting now. Even if you thought you knew everything about her and have seen other films about her, this seems to be a very definitive inside look at her kooky, crazy, wild life and all that drives her to be so bold and innovative. I'm especially intrigued to see how she is involved in the creative process beyond just her music, with concerts and more. Might as well check this out. The documentary pulls back the curtain to introduce the woman behind the performer, the costumes, the glitz and the glamour. Off-stage, in the studio, unplugged and at home, audiences get an unguarded glimpse at Gaga through a series of personal highs and lows and the culmination of a year's emotional journey. From struggles with relationships to health issues, from finding solace in her inner circle to conquering her insecurities, Gaga: Five Foot Two navigates the divide between life as a superstar and life as an everyday woman. Gaga: Five Foot Two is directed by filmmaker Chris Moukarbel, of the docs Banksy Does New York and Me at the Zoo previously. This will premiere at the Toronto Film Festival this month. 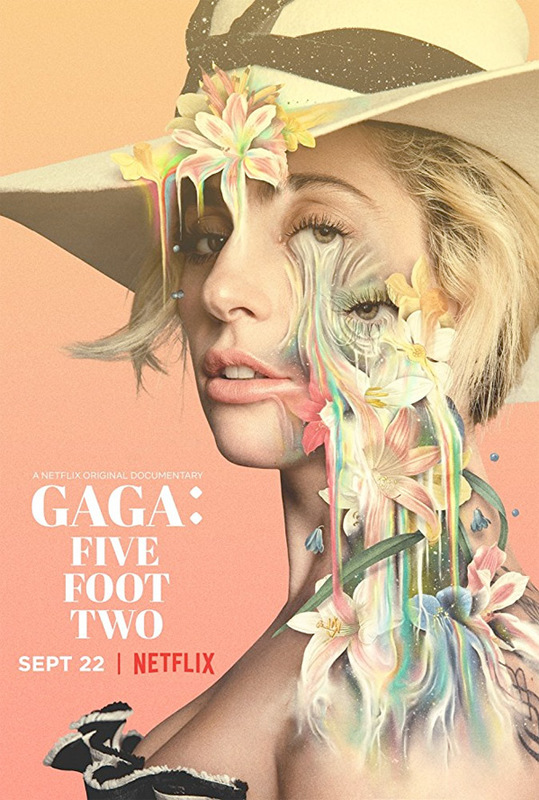 Netflix will then open Gaga: Five Foot Two streaming exclusively on September 22nd. Thoughts?